One of the most critical financial steps taken during divorce is evaluating the business that one or both spouses were a part of, especially when it comes to partnership or a group practice, such medical offices, since physicians usually partner up with other physicians. Ultimately, a lot comes down to what each side’s expert evaluates the practice as being worth. Your attorney will want to fight to ensure that the best evaluation possible for you is what stands up in court. Below, we discuss some of the important aspects of evaluating the practice when one or more physicians are involved in a divorce. As part of this process, it is crucial that you and your divorce attorney work with a forensic accountant who has very specific experience in evaluating different types of businesses. A forensic accountant not only evaluate financial assets (such as accounts, equipment, lease, furniture, etc. ), but also any liabilities that the business/practice incurred, such as those associated with insurance, taxes, retirement plans, loans, etc. Ultimately, the accountant is there to help ensure that the divorcing partner receives their fair share of income from the business. In addition, when it comes to high asset divorces and partnerships held by the couple and third parties, it is important to keep all partners outside the marriage notified of the divorce proceeding. There are major complexities involved in the valuation of all business entities – corporations, partnership, or sole proprietorship. Even with a simple solution such as a buyout, involving a forensic accountant in the early stages of the process should be considered, especially if you have not been involved in the daily running of the business, don’t have clear understanding of the family’s financial affairs, and have suspicions that your spouse is either hiding or transferring the marital assets. What kind of business entity is it? Was it established before, during, or after the marriage? What types of funds were put into it? What were their origins? Was stock issued to the participants in the business? If so, how? Is there any future vesting of it for any participant such that they could be entitled to it after the divorce? Was there a buy/sell agreement? Note that Florida permits the corporate practice of medicine–That means that a non-physician can own a medical practice and/or employ a physician. Therefore, if you are married to a physician, and your spouse own a medical practice, the spouse who is not the physician can take over a share of the medical practice as part of the divorce settlement and become an “owner.” However, your attorney will need to take a close look at any practice agreements signed by the doctors in the practice to see if there are any provisions indicating that if one of the partner’s or participant’s marriages dissolves, then all of that member’s stock is forfeited. 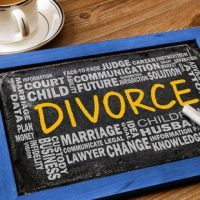 When it comes to divorce, it is crucial that you work with someone who understands the specific circumstances of your case, particularly if a business practice was created during your marriage. Contact the Arwani Law Firm ,, today, and our Orlando property division attorneys can help walk you through your options.